Setting up a family ice skating rink is actually pretty easy. There are companies that sell ready-made, snap together, plastic sideboards and brackets which are used to create the ice rinks frame or you could go old school and build your own. Once the frame is in place, the pond liner is added and stapled or taped to the sideboards. Then the frame is filled with water and allowed to freeze solid. Later, the super heavy-duty tarps are used in between ice skating sessions to help keep the surface free of unwanted debris. Speaking of which, some backyard ice skating rink enthusiasts also like to invest in hand-held resurfacing tools too. The resurfacing tools are generally nothing more than perforated metal pipe frames that are attached to normal garden hoses and outfitted with squeegee like mats. The water comes out of the pipes holes as its drug across the rinks surface and the squeegee attachments help to push it where it needs to go. For the most part, the resurfacing tools are sold through ice skating retailers for around $180 to $600 each. The price differential is caused by the size of the tool. The bigger ones obviously cost more than the tools typically used to resurface small rinks. To get the super heavy duty tarps and pond liners you need to create a backyard ice skating rink for this year, pleasecontact ustoday. Weve got super heavy-duty, white tarps that feature arctic flexibility, UV ray resistance, reinforced edges and extra-thick laminate coatings. And as for our pond liners, theyre thick and tear resistant too. This entry was posted in pond liners and tagged pond liners on November 28, 2014 by CanopiesAnd Tarps. If you are counting the days until Christmas, you may also want to plan ahead to havetarpaulinsready for your post-holiday storage needs. This is the time of year when many families have more stuff on their hands. 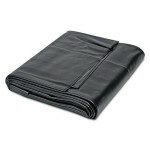 Tarps are a simple and affordable way to keep your possessions organized and protected. Gifts You Wont Be Using Right Away:Christmas comes only once a year so you may wind up with merchandise that you need to put away until the days grow longer and warmer. Haul your summer sports equipment or beach house furniture to one designated area in your basement or garage. Cover it with a tarp to prevent dust and permit airflow for the next few months. Clutter Youll Be Clearing Away:Maybe you have to get rid of some old things to make room for the new. If the grandparents went overboard, you can keep the surplus toys out of sight until you and your kids decide what you want to keep. Similarly, weed out the household goods that youll be donating or selling, and set them off to the side under a tarp until you can send them to their new homes. Holiday Items Youll Need Next Year:Keep those boxes of Christmas tree ornaments and strings of colored lights together in one spot. When you go back to the attic around this time next year, you will know exactly where to find them. They will all be piled up neatly under one tarp instead of being mixed in with everything else that accumulated during the past year. 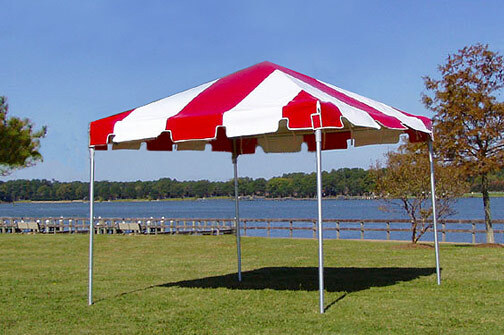 We carry the widest selection of canopies and tarps available at low prices. Whether you are looking for an economy tarp or you need an estimate on something custom made,contact us24/7 for knowledgeable and friendly customer service. This entry was posted in Tarps and tagged tarps on November 28, 2014 by CanopiesAnd Tarps. What Color Are Your Tarpaulins and How Useful Are They in Emergencies? We’ve all heard about golden parachutes. Theyre given to top level executives that jump from the corporate leer jet when the going gets rough. Although sacks full of cash arent anything that the majority of Americans would kick to the back of the plane, we happen to know of something that would be lot more useful in survival situations than money. In a word, itstarpaulins. Todays tarpaulins are made to resist fire, water, chemicals, tears, ultraviolet rays, winds and abrasions. When you’ve crash landed in the wilderness, can a sack full of cash do that? We dont think so. Just try hiding under an 8.25-inch x 6.25-inch money bag in the driving rain, when the winds are howling, and youll see what we mean. All kidding aside, modern day tarpaulins are truly durable and useful. On top of that, they come in more colors than just gold. Just look at our collection of heavy-duty poly tarpaulins as an example of whats available to todays consumers. Weve got snow white, bright orange and stealthy camouflage tarpaulins that would be perfect for hunters in search of Christmas or New Years dinner. Shop keeps or tree farmers selling holiday wares would surely appreciate our red, green and clear poly tarpaulins. And for all of those intrepid backpackers out there, weve got tarpaulins in navy blue, silver, tan and yellow. To learn more about them and the other bold colored, versatile tarpaulins in our inventory, pleasecontact ustoday. At Canopies and Tarps, we offer customers a chance to order standard and custom made tarpaulins suitable for a wide variety of applications. Youll also find other useful products, like athletic field covers, portable garages, party tents and pop-up canopies on offer too. So feel free to count on us for all of your familys cover and canopy needs. This entry was posted in Tarps and tagged tarps on November 24, 2014 by CanopiesAnd Tarps. Last weekend, when you pulled the ATV trailer into your outdoor enclosure, you noticed that the rafter area was stained. Upon closer inspection, you realized that they werent just run of the mill stains. They were actually the result of a severe leak and you know that with all of the bad weather coming, thats just not going to do. So do you try and pull money out of thin air and spring for a brand new enclosure or invest incanopy top replacements? Wed suggest taking a critical eye to the outdoor enclosures frame. If its still in excellent condition, you may want to save some bucks by buying areplacement carport kitfrom us. Our replacement carport kits not only come in a wide array of sizes, they also include five pieces. There are two side panels, a top cover, back door panel and zippered front door. Consequently, you could sock the extra panels away for later and only replace what you need before the next big storm is due to blow into town. Speaking of which, our enclosure replacement panels are designed to be waterproof. As such, there is precious little chance that youll come home to a leaky carport in the months to come. Just make sure that once youve replaced the top, you pull all of the corner ties tight and check for gaps. Otherwise, water, sleet and snow could find its way inside and give the appearance of a leak or security breach. If you are concerned that youll have a hard time finding the right enclosure replacement panels for your homes carport, dont be. Our outdoor enclosure experts can help you calculate measurements of your models rafter length, door width, leg height and overall length. They should be enough to help you hone in on the precise size canopy top replacement and companion pieces needed to repair your homes carport. To learn more, pleasecontact usat Canopies and Tarps today. This entry was posted in canopy covers, canopy replacement cover and tagged canopy replacement covers on November 24, 2014 by CanopiesAnd Tarps. To keep an area of the pond warm enough not to freeze, try installing a deicer. They tend to run on electricity and get placed at the ponds edge inside of insulated housing. Most of them are preprogrammed to turn on and off automatically, based on the temperature. When they do turn on, they are powerful enough to keep small sections of ponds ice free without heating up the water to dangerous levels. In addition, it may be helpful to install an aerator or diminutive water pump too. However, it is vital that whichever device you choose, it doesnt destroy the lining or stir up the lower reaches of the pond. Thats because in order for most pond life to survive, they need to access water that is at least 40 degrees Fahrenheit. During the winter months, the water closet to the bottom of the pond tends to be the warmest. So if your aerator or pump pulls the colder, surface layers down deep enough, it could cool the bottom layers to a point where they are no longer capable of sustaining life. Finally, its important to keep the snow off of any remaining ice. Otherwise, the amount of sunlight and oxygen reaching the aquatic life will be reduced to dangerous levels. Oh, and make sure that when youre removing the snow you dont fall in or damage the pond liner. To learn more about keeping ponds lined and healthy all year through, please contact us today. We have heavy duty pond liners, weather resistant tarps, carports and more in stock now. This entry was posted in pond liners and tagged pond liners on November 14, 2014 by CanopiesAnd Tarps. The National Retail Federation and PWCs FY 2014 fourth quarter predictions are in. Have you looked at them yet? If not, you should do so soon. Consumers are on track to spend a respectable amount and they are expected to do so in a predictable manner. Experts widely believe that will include searching online for deals and sharing what theyve found with others. With that said, party tents and photo booths, in conjunction with omni-channel marketing strategies may help drive holiday sales, especially in mall settings. Despite the proliferation of online stores, more than 89% of all retail spending in our country may be traced back to mall settings. However, todays consumers generally start their search for the perfect deal online. Once they find it, theyre likely to spend close to an hours time checking the item out at their local retailer before closing the deal. So retailers may want to set up a party tent and photo booth that allows shoppers to capture that precise moment, when feel good emotions are running high. Buyers are likely to turn around and share their photos with online friends, which could help to further drive holiday foot and web traffic. Many high quality, high volume booths feature branded backdrops that may be customized to meet a companys seasonal needs and we have party tents with translucent walls. Together, theyll help attract the attention of passersby. In addition, some photo booth services include valuable social media integration like the ability to instantly broadcast photos over Twitter, FB and e-mail. Customized FB wall messages, special hashtags and a post-event e-mail database can be part of the deal too. Understandably, corporate marketing gurus can take it a step further by tying the photos to their blogging, Google+, newsfeeds and Instagram efforts as well as temporary information sharing apps like SnapChat. To learn more and setup a party tent big enough to hold a photo session sometime between now and the end of FY 2014, please contact us straightaway. 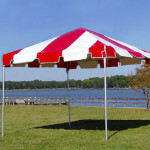 This entry was posted in party tent and tagged event tents, party canopies, party tents on November 14, 2014 by CanopiesAnd Tarps. Gymnasts train for years to perfect their moves and compete in local, national, and international competitions. That is why it is such a tragedy for a gymnast to break his or her ankle or sustain another type of injury on a hard gym floor. It takes months to recover from these types of injuries and his or her performance may never be the same. While it is impossible to prevent every injury in gymnastics,athletic field coversfrom Canopies and Tarps greatly reduces the risk. Our floors give gymnasts the soft landing they need to keep the show moving forward. All mats weigh just 10 ounces per square yard and are made from reinforced laminated vinyl. They are resistant to mold, fungus, oil, and chemicals. When the competition is over, you can easily clean each of these mats using plain soap and water. We sell gymnasium floor mats in whole sheets only. All sizes are easy to fold and store when not in use. Canopies and Tarps also carries field covers for all major sports. If you’re an athletic director looking for a good deal, we encourage you tocontact usand request to speak to the sales team. If you don’t think one of our tarps will work for your team’s need, we are happy to create a custom tarp. You can add your team’s name to the tarp or anything else to make it a true representation of your school or pro athletic team. This entry was posted in athletic field covers and tagged athletic field covers on November 11, 2014 by CanopiesAnd Tarps. Each December, the Audubon Society puts on a special event designed to monitor the activities of Americas vast bird population. Known nationally as the Christmas Bird Count, its a great time for residents and businesses alike to get together, pitch a see-throughparty tentand lend a helping hand. Well in this case, perhaps its more important to lend them your eyeballs. Thats because everything that participants witness during the three week event is used to help protect Americas feathered friends and their environments. If you decide to pitch a see-through party tent for the event, consider utilizing it in one of two ways. First, think about letting your local bird watchers andcount compileruse the tent as a home base for event operations. It would be a great place for everyone to compare counts, fill in paperwork and warm up throughout the day. Second, why not kick around the idea of hosting a Christmas Bird Count fundraiser? Christmas Bird Count fundraisers can be a lot of fun when theyre held inside of see-through party tents. For instance the shindig could be held in an area known to attract wintering birds or on the grounds of a raptor rescue center. The tables could be decorated with mistletoe, which is known to attract certain birds. On the list are mistle thrusts, mourning doves, Coopers hawks, bluebirds andAmerican robins. Party favors could consist of tulle bags filled with bird treats, seed or suet appropriate for feeding wintering birds. And as for the menu and party activities, see-through tents will help to ensure that the skys the limit. To select a see-through or standard party tent in time for the 2014 Christmas Bird Count, pleasecontact ustoday with an idea of how big your group is expected to be. That way, we can help you order the right number of tables and chairs too. This entry was posted in party tents and tagged event tents, party tents on November 11, 2014 by CanopiesAnd Tarps.